Learning with Music offers an accessible introduction to music education theory for those working in the early years. 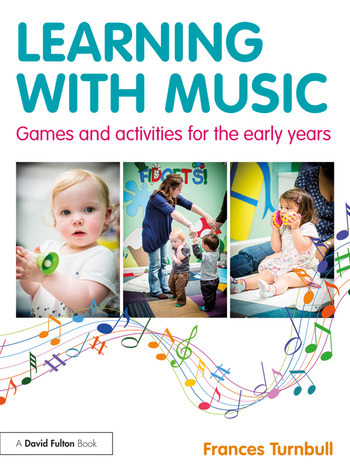 Using real case studies and rich examples, the book provides practical suggestions to develop the formative ideas of music education, such as melody, rhythm, pulse and timbre, into games and activities for every early years setting. Chapters include a range of tried-and-tested lesson sequences and accompanying developmental benefits, allowing practitioners to confidently create tailor-made lesson plans and manage music sessions, ranging from one child through to larger groups. Each concept is grounded in child development theory, as well as music education theory, giving practitioners an insight into the research-based principles and priorities of music education for their own unique setting. With a clear focus on the benefits of teaching music from birth to preschool, Learning with Music is essential reading for all early years practitioners, as well as students on Early Childhood courses. Chapter 2: How has technology impacted music education? Applying theory to practice: S.P.A.C.E. Frances Turnbull is an Early Years Music Specialist and founder of Musicaliti, a preschool music education programme. She has presented early years music sessions in a variety of settings since 2006, after training as a secondary mathematics and science teacher. Frances also teaches primary guitar and directs a local community choir, the Bolton Warblers.